High nitrogen feed for healthy vegetables and strong leaf growth - 1.5kg pack. Sulphate of Ammonia is a fertiliser that is high in Nitrogen. 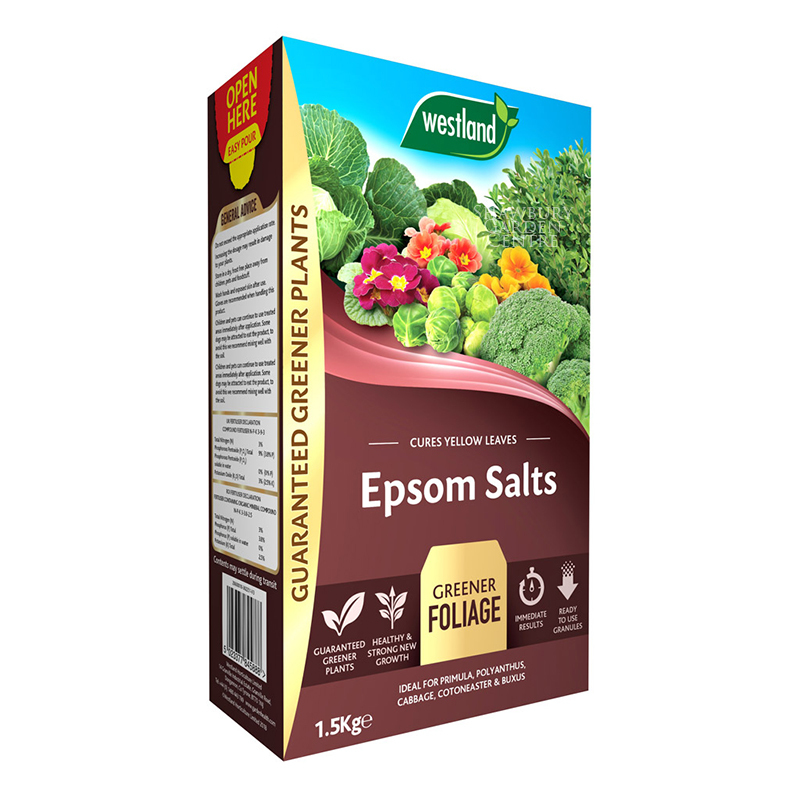 It is ideal for promoting high rates of growth in foliage, so is ideal for leafy vegetables such as cabbage and salad leaves. Sulphate of Ammonia is also useful to promote growth in flowering or fruiting plants after a healthy root system has been established before fruiting commences. 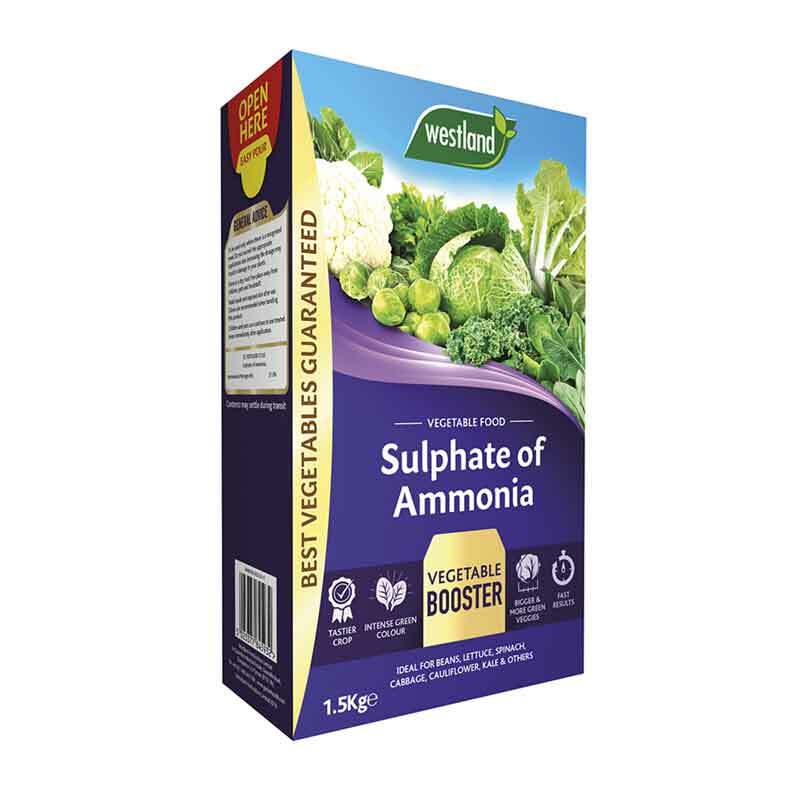 If you would like further information about Westland Sulphate of Ammonia, please contact our garden centre at Shawbury just outside Shrewsbury in Shropshire, by calling 01939 251315 or emailing.